Well, now it's time for him to go on just a little bit of a melee. And, no, we're not suggesting violence. We're most certainly not! If he wants to be a big bad Gangster Boss, that's totally fine, so long as his crime spree is simply securing the biggest stash of trick-or-treat candy to be found. Yup, that sounds like just the task for a serious Mobster! 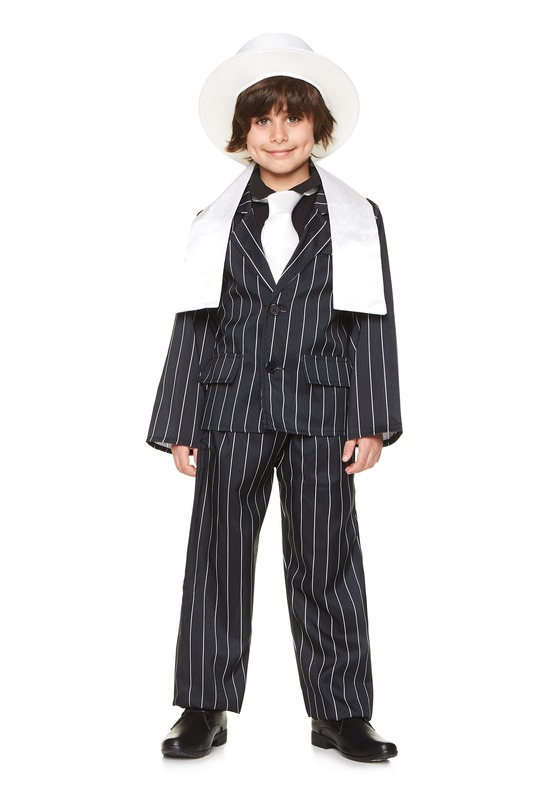 He can turn himself into the kingpin of a sugar empire when you pick up this Kid's Gangster Boss Costume. This detailed costume is instantly reminiscent of the garb of Roaring 20s. In fact, it's so stylish, that's why we called it the Gangster Boss costume. Because wearing it isn't like just becoming a gangster, it's like promoting yourself to Mob Boss right off the bat! 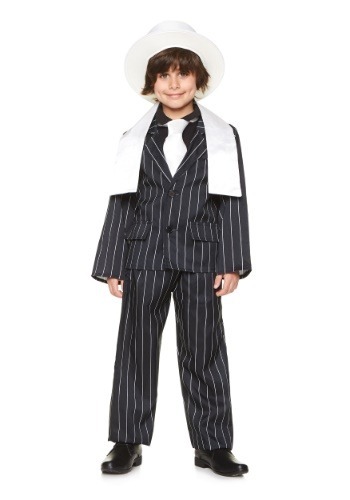 Have him suit up for that mild-mannered crime spree when he goes in this costume for kids. It comes with a jacket top, pants, scarf, and hat. 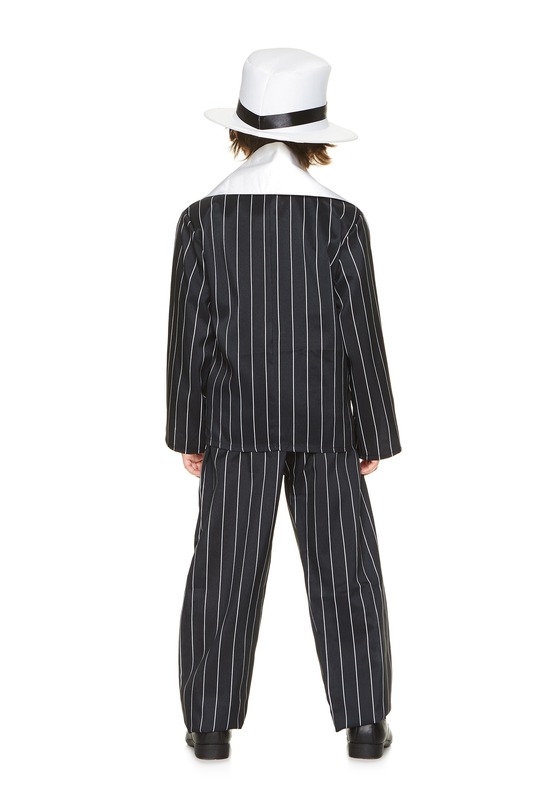 The top and pants are both black with pinstripes, and he can use a regular t-shirt or a dress shirt and tie to complete the style. Then, use the scarf and hat to accent the ensemble and he'll be ready to roll! We're all about using a little imagination when Halloween comes, and the gangster era of American history is always a fun theme. He can even learn a little history while he's all dressed up as a mob boss! An ideal look for a Great Gatsby party or for a turn-back-the-clock theme, we have costume styles to outfit all his friends and family, too. Shop our entire selection to see all the items that will have you ready for 1920s fun!